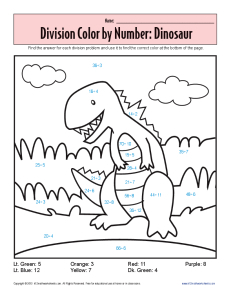 For a roaring good time, try this color by number worksheet of a dinosaur. To find the correct colors to use, Your student must solve the division problems. It makes math fun to do!